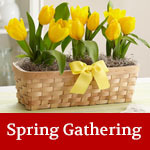 Join us for our 3 day Spring Gathering on April 26, 27 and 28, 2019 in Windsor Locks, CT. We will have classes, our Guild’s Annual Meeting, Exhibit basket awards, scholarship awards, and a basket marketplace. 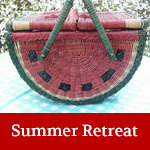 Our one day Summer Retreat is held on the shores of Whites Pond in Suffield, CT. Take a basket class and see old friends and make new ones. 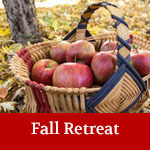 Sign up to come to our Fall Retreat in Swanzey, NHIn 2018. We will have 5 basket classes to choose from. Make a basket for yourself, or one to give as a gift. Are you looking for a basket class in your area? We have a list of classes throughout New England and New York. Or check with our business members for classes that they teach.